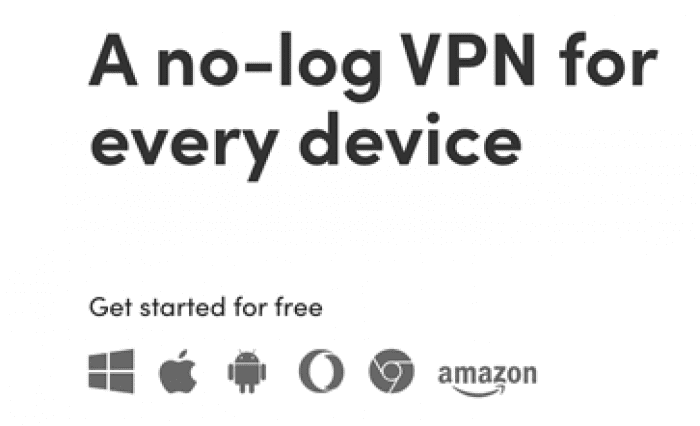 SurfEasy VPN was originally designed for Macs, but is now available on a wide range of connected devices, including Windows PCs, Android devices, iOS devices, and Chrome devices. With competitive pricing and strict security protocols, SurfEasy VPN is a good choice if you value cost-effective, secure VPN connections. While your internet speeds may be impacted more than other top VPN providers, speed isn’t everything. SurfEasy offers both free and paid versions of its quality VPN service, giving users the option to try out the service before buying. 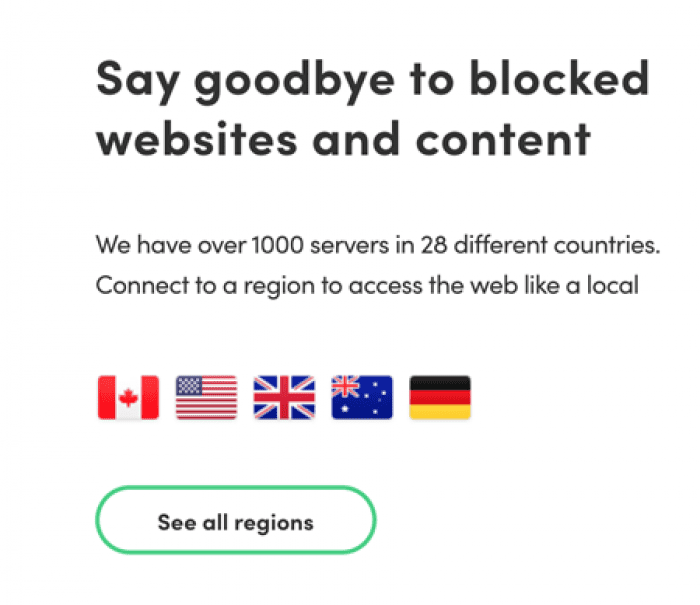 A 256-bit connection, a no-logging policy, and more than 1000 servers are just a few of the top reasons to choose SurfEasy VPN. In our comprehensive SurfEasy VPN guide, we’ll review top features, pricing information, important security information, and so much more to help make your VPN choice easy. Here’s everything you need to know about SurfEasy VPN and why you should consider signing up today. With three simple pricing levels, SurfEasy VPN has something for every VPN user. As we mentioned, SurfEasy VPN offers a free version of its high-quality VPN service, called the Starter plan. It’s rare to find a service that has a free plan, so it’s nice to see how user-friendly SurfEasy VPN is. While it does limit the amount of data that can pass through the network on the free plan to just 500MB per month, it’s a great way to try out the service before purchasing it. While 500MB isn’t more than a few hours of browsing the internet, it’s enough to give you a good feel of how the service and interface work. Connect up to five devices no matter what plan you’re on. To unlock unlimited data and bandwidth, as well as some additional premium features, check out the two paid subscription options. The Total plan is just $3.99 per month and includes unlimited data and tracker blocking, ridding your browsing experience of pesky ads and providing you with a seamless browsing experience. The top-tier plan, the Ultra plan, is just $6.49 per month, which is relatively inexpensive when compared to other providers’ most expensive plans. 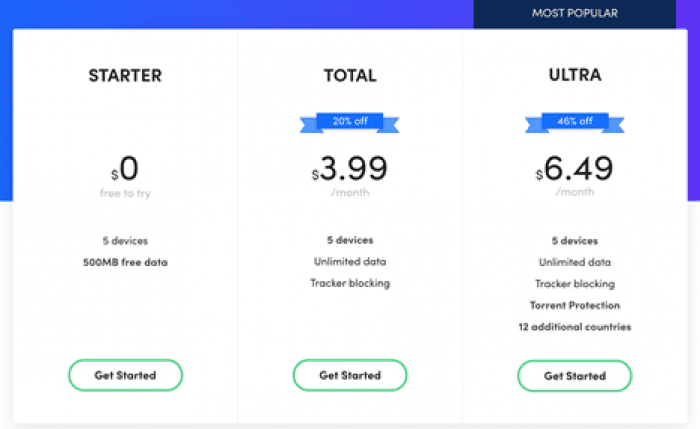 With this plan, you get the same great unlimited data and tracker blocking, as well as torrent protection and access to servers in an additional 12 countries. Whether you’re an avid P2P user or just someone who wants online security, there’s something for you with one of these plans. And at these competitive prices, you won’t have to worry about breaking the bank just to stay safe online. Still not convinced? Every plan comes with a seven-day money back guarantee. While the different plans do offer some additional features, you’ll get a wide range of competitive features regardless of what plan you’re on. World-class security, a simple interface, and a wide range of server options are just a few of the many features you’ll receive with your SurfEasy VPN plan. ⦁ 256-bit encryption to keep your information safe and secure. With bank-grade security protocols, you won’t have to worry about a security breach. ⦁ A no-logging policy that ensures your information is safe. When your information isn’t stored on SurfEasy’s servers, there’s no chance of your information falling into the wrong hands. ⦁ Over 1000 servers in almost 30 countries. Remember, depending on your plan, you’ll get access to 12 additional countries, meaning there are even more server options, even greater security, and access to more content that may typically be geo-blocked. ⦁ Easily switch servers with just one click, giving you superior security while online. ⦁ Dedicated torrenting support on specified servers available on the Ultra plan, making P2P safe and secure. ⦁ Unlimited data on the Total and Ultra plans, allowing you to stream and browse as much as you want on the network. ⦁ Streamlined ad-blocking software. You no longer have to worry about cookies and advertisements popping up when you’re online. ⦁ Use SurfEasy VPN on all of your connected devices, with up to five devices on one account. ⦁ Dedicated live support available seven days a week. If you’ve used a VPN service before, you know that your speed will almost always be impacted when you’re browsing the internet. With SurfEasy, it’s no different, and currently, internet speeds are typically impacted by up to 50% or more. When compared to other top VPN providers that may only reduce speeds by 10% – 25%, 50% can seem significant and may be a pain point for some. However, if you’re like most people and have high-speed internet, even a 50% reduction in speed may not make a major difference when it comes to internet browsing quality. Factors such as server traffic load and proximity to servers will make a difference in speeds as well. Speed is important, but when you’re browsing on a VPN, security is often the most crucial factor when choosing your VPN service provider. While you’re not going to retain your full internet speeds while connected to SurfEasy, you’re going to browse with peace of mind knowing that your personal sensitive information is safe and secure. With so many servers in so many locations, Netflix users will get the most out of their Netflix subscription. Most servers are unblocked from Netflix, and actually, bypass geo-restriction protocols that Netflix put into place. That means you’ll unlock Netflix content that is only available to viewers located in specific countries, allowing you to stream even more premium content from the comfort of your home. If you have a slower connection when not connected to a VPN, streaming Netflix on SurfEasy may not be an ideal streaming experience. However, there are a lot of VPN services that are unable to bypass Netflix’s geo-blocks, making it a great option for those looking for new content from around the world. Check out their list of servers to see just how much content you can potentially unlock. The Ultra plan offers dedicated torrenting servers and support, allowing P2P users to take advantage of safe, secure, and reliable torrenting servers located around the world. 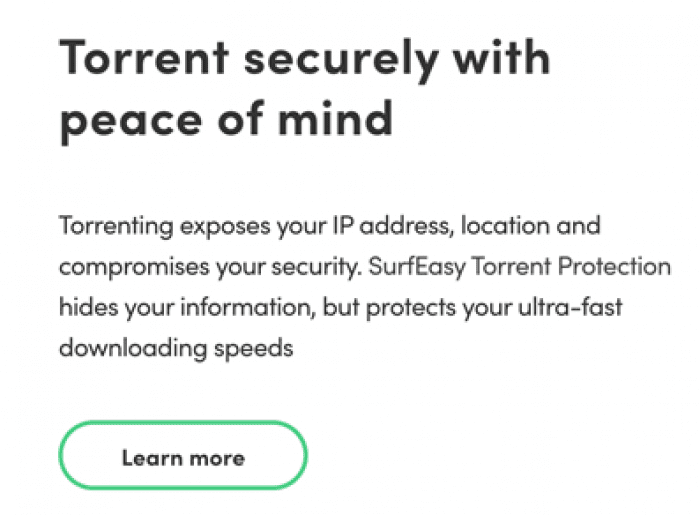 In addition to dedicated torrenting servers and support, SurfEasy also offers auto-enabled torrenting protection, giving you even more security when torrenting on the network. It’s always great to see this level of support when it comes to torrenting, but we wish the servers were available for all users, not just those on the Ultra plan. With so many top VPN providers offering dedicated torrenting servers, or at least torrenting capabilities across the network at no additional charge, charging users a premium for torrenting is a setback for SurfEasy. However, on the dedicated torrenting servers, you’ll still retain unlimited bandwidth and you’ll notice faster speeds, making the torrenting experience worthwhile. While SurfEasy targets Mac users, the development team at SurfEasy has also developed a streamlined desktop experience for Windows PC users. With uncompromised security, the impressive user interface makes it easy to get connected to the reliable SurfEasy network. In addition to an easy to use dashboard, you’ll get real-time insights into your VPN connection on the Windows PC desktop app as well. Track your connection, switch servers, and terminate your connection in just a few clicks on the dedicated desktop app. Download it today from the SurfEasy website to get started. Since SurfEasy was originally designed for Mac users, it truly provides a great experience when you use the desktop on a Mac. With a dedicated desktop app that’s enhanced and intuitive, you’ll have full control over your VPN connection in a seamless dashboard experience. With one click, you can access SurfEasy VPN right from your desktop. Review stats such as connection status, speed, and even how many ads have been blocked. If you’ve got a Mac, SurfEasy has one of the best user interfaces on the VPN market. With so many servers in so many locations, staying safe and anonymous online has never been easier. The streamlined user interface makes it easy to switch servers in just a few clicks, giving you the freedom to mask your IP with a new server every day if you want. Many of the servers also work with geo-restricted content, meaning you’ll have access to tons of new content on your favorite streaming services. SurfEasy uses bank-grade encryption protocols to keep your information safe and secure online. With AES 256-bit encryption working on your side, you won’t have to worry about data breaches or unwanted onlookers. You’ll also get the benefit of using OpenVPN protocol, which is the best security protocol in the industry. Since the protocol is open-source, it adapts and updates regularly, keeping you and your devices protected. In addition to industry-leading encryption standards, SurfEasy VPN also has zero leaks, meaning your data is even safe from your ISP. There are no viruses or malware with the client download, and paired with an ad-blocker built in, you’re set for a seamless browsing experience. On top of these already impressive security standards, SurfEasy VPN is also a no-log VPN provider, meaning your information is not stored, including your usage logs, browsing history, and traffic data. However, international data collection laws give SurfEasy VPN some room to collect information for law enforcement. While a VPN isn’t designed to mask criminal activity, it’s important to note that your information may be released in the case of a criminal investigation. 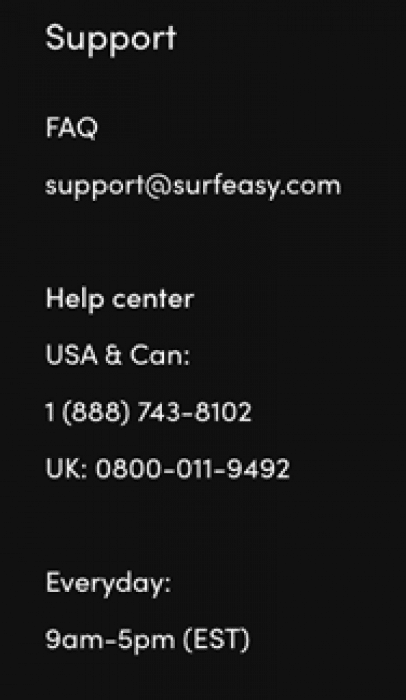 We were pleased to see SurfEasy make the jump from ticket-based/email-only support to a full, live support team that’s available every day to answer your questions and resolve your concerns. Even if you’re a VPN expert, you’re going to need support from time to time. Having to wait days for a response to a ticket or email creates a bad user experience, and it looks like SurfEasy took note. Users now have access to live phone, chat, and email support, meaning you can contact someone virtually any time to have your questions answered. Even non-users now have the option to call, email, or chat in to find out more about the service, making the team at SurfEasy incredibly accessible. Be sure to check out SurfEasy’s robust knowledge base of information, from how-to guides to troubleshooting and more. Located on the FAQ page, this self-help portal gives you tons of resources to navigate your VPN service and resolve questions on your own. While SurfEasy isn’t quite up there with top-tier VPN providers like NordVPN or Express VPN, SurfEasy is a great option for anyone looking for a simple, streamlined VPN experience. Both new and experienced VPN users can appreciate the convenience of a modern interface paired with strong security protocols. Breaking from the traditional time-based subscription plans, users can now pay for what they need versus paying for time. The three plan options offer entry-level, mid-tier, and premium features, meaning there’s truly something for everyone. If you’re still not sure about SurfEasy, check out the free plan to test it out before buying. Connect up to five devices on one account, including your Windows PC, Mac, and mobile devices. With dedicated desktops and mobile apps available to download, SurfEasy VPN makes it simple to stay safe and secure online. At the end of the day, SurfEasy VPN offers some impressive security features, a streamlined user interface, and a unique pricing structure. While torrenting support and internet speeds could do with some improvement, it’s nonetheless a solid choice for anyone looking to change up their VPN provider this year. Sign up for SurfEasy VPN to try out their free plan version and let us know about your experience in the comments below!